Create and deliver beautiful presentations. 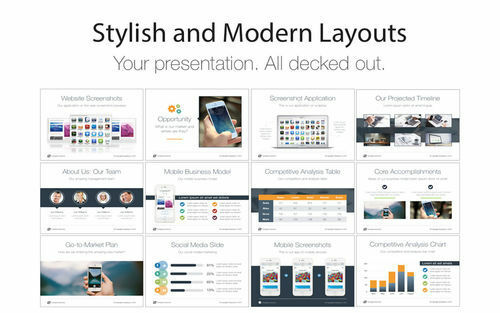 Is there a better alternative to Pitch Deck Templates for Keynote? 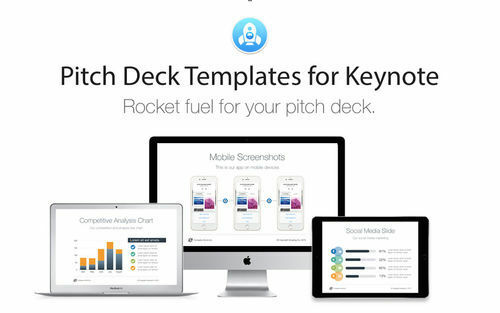 Is Pitch Deck Templates for Keynote really the best app in Word Processing category? Will Pitch Deck Templates for Keynote work good on macOS 10.13.4? Pitch Deck Templates for Keynote needs a review. Be the first to review this app and get the discussion started! Pitch Deck Templates for Keynote needs a rating. Be the first to rate this app and get the discussion started! 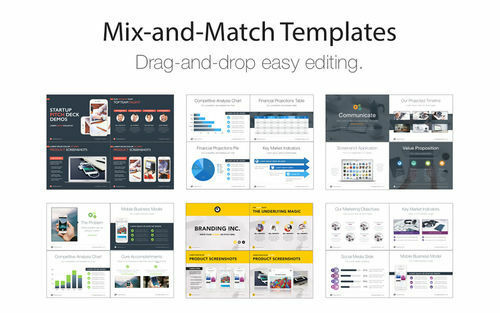 Pitch Deck Templates for Keynote gives you the ability to take your pitch deck or business presentation from standard to stunning. These stylish and modern layouts make it simple to create and deliver beautiful presentations. Impress your audience and bring your ideas to life with these drag-and-drop easy to use keynote themes. 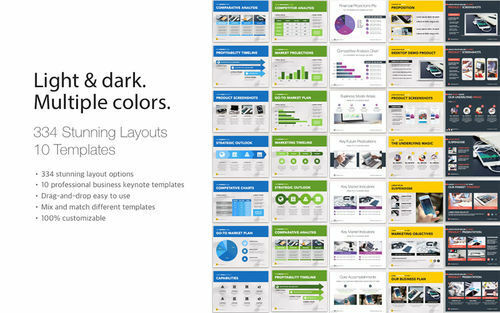 Choose from over 334 business focused layouts from 10 themes. Mix and match. 100% customizable - change as much or as little as you want - with just a few clicks. Pitch Deck Templates for Keynote provides you with endless options for creating professional and engaging content. 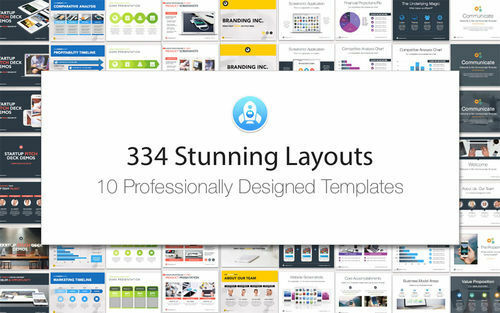 334 stunning business layouts 10 modern & stylish professional templates Drag-and-drop easy to use Mix and match different layouts Out-of-the-box ready to go 100% customizable.